Comments: May be a semi-evergreen in the upper part of its zone of adaptability. 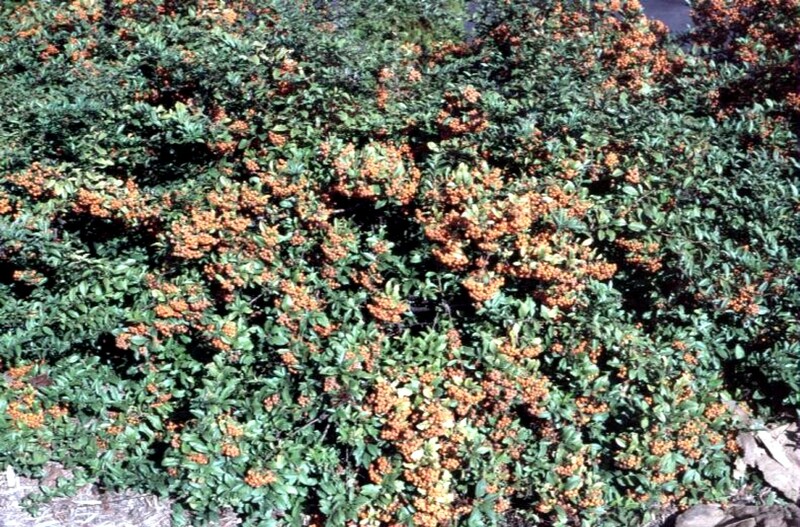 This deer resistant plant has fragrant white flowers in spring with abundant orange berries in fall and winter. Birds eat the fruit and it has been used in making jellies. Used in borders, as espaliers, barrier plantings and in containers.